Tuesdays to Fridays from 11 am to 5 pm. Saturdays from 1 to 5 pm. Bjarni H. Þórarinsson's exhibition in BERG Contemporary, titled Wide Spectrum, presents more than a hundred of his works that have never been exhibited before. The complex but strangely compelling Visi-Roses of Bjarni H. Þórarinsson are part of a vast undertaking that began in 1987. 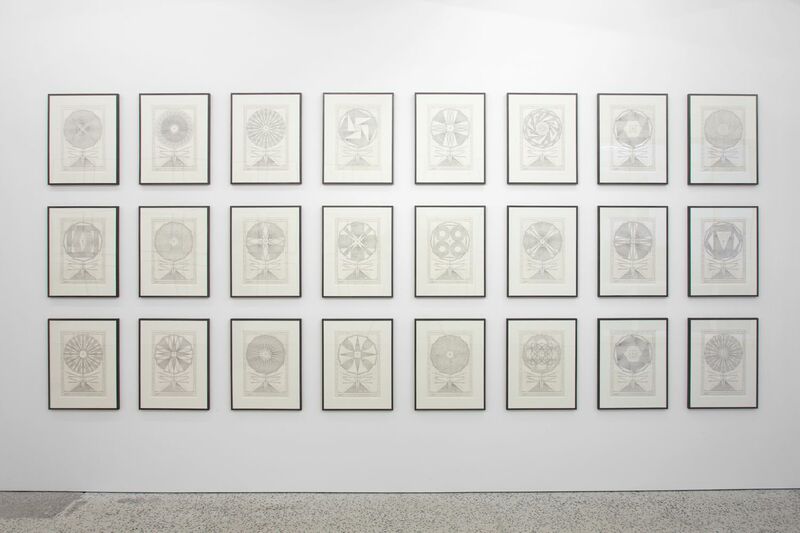 In these delicate pencil drawings, language is merged into a formal, visual presentation - language and image become one. These works are based on long lists of words where Bjarni explores the possibilities for compounding words and ideas to achieve a general overview of a particular realm of human thought. 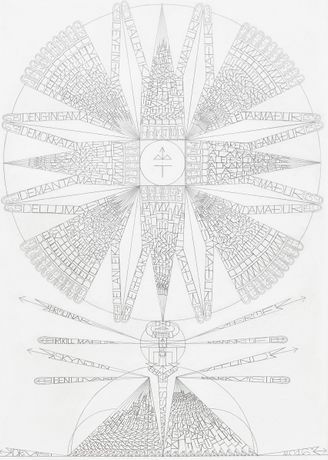 In the images, these compound words are freed from the linear form of the list and, instead, take on the form of a circle or wheel where all are connected in a single movement, offering endless possibilities for interpretation and understanding. Bjarni studied at the Icelandic College of Arts and Crafts from 1973-1977 and was one of the first students of the New Art Department, founded in 1975. Led by Magnús Pálsson, this department introduced students to the ideas and practices of the international avant-garde, with a long roster of Icelandic and international artists as guest instructors. Alongside more traditional instruction, students tried their hand at performances and happenings, used photography, film and sound in addition to more conventional media, created works in book form or on a larger scale as land art, and took part in various collaborations. In 1977 Bjarni, along with other artists, founded Gallerí Suðurgata 7 which was, for a few years, the primary venue for avant-garde and Fluxus art, with both young and older Icelandic artists exhibiting and performing, as well as several artists from abroad. Bjarni was also one of the founding members of the Living Art Museum in 1978, an artist-run museum and exhibition space that still runs today. Bjarni exhibited often in the museum and a retrospective of his work was held in 2010. After graduating, Bjarni worked in various media, as did most of his generation in Iceland. 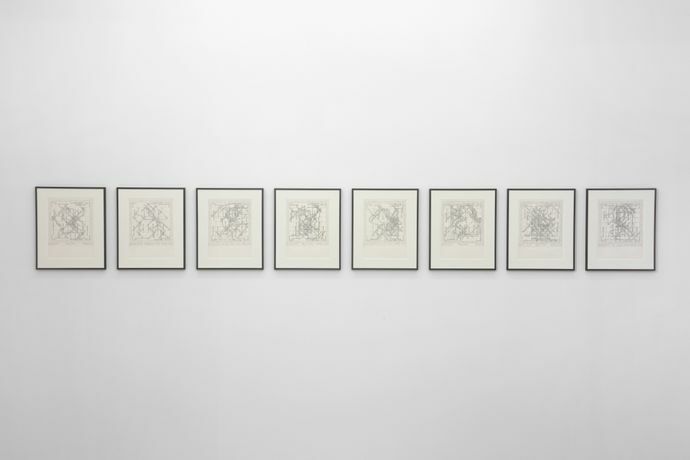 In 1987, however, he decided to concentrate on his own research to explore what was at work behind it all: Reality itself and its artistic expression. The Visi-Roses grew from this research, not as a final outcome but as a tool that the artist and we, the audience, can use to carry the research forward and achieve a better understanding of our own thoughts and experiences. A recent by-product of this effort appears as series of pictures reinterpreting well-known chess games in visual form. Instead of looking at each position on the chess board, as in traditional chess theory, Bjarni concentrates on the movement of the pieces and traces it in his drawings. 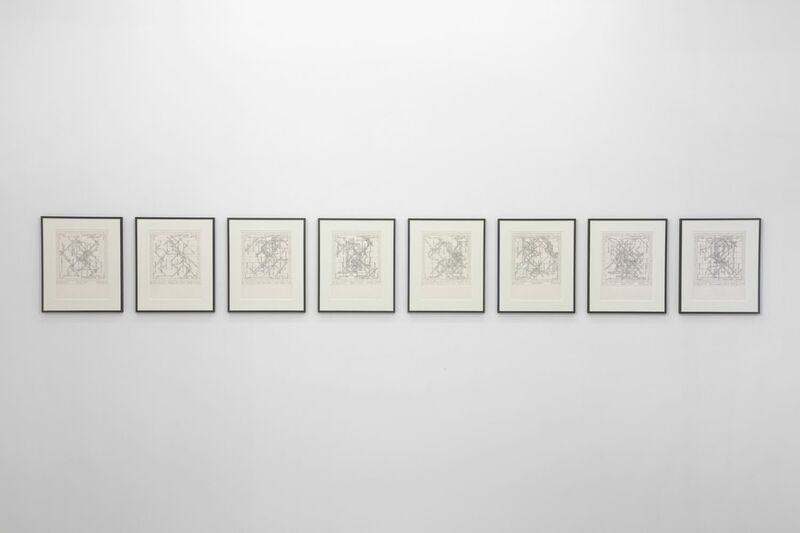 By using methods similar to those of the Visi-Roses, Bjarni shows us the chess games as a complex, rhythmic dance, a living process where all possibilities are open. The exhibition in BERG Contemporary, titled Wide Spectrum, presents more than a hundred works that have never been exhibited before. 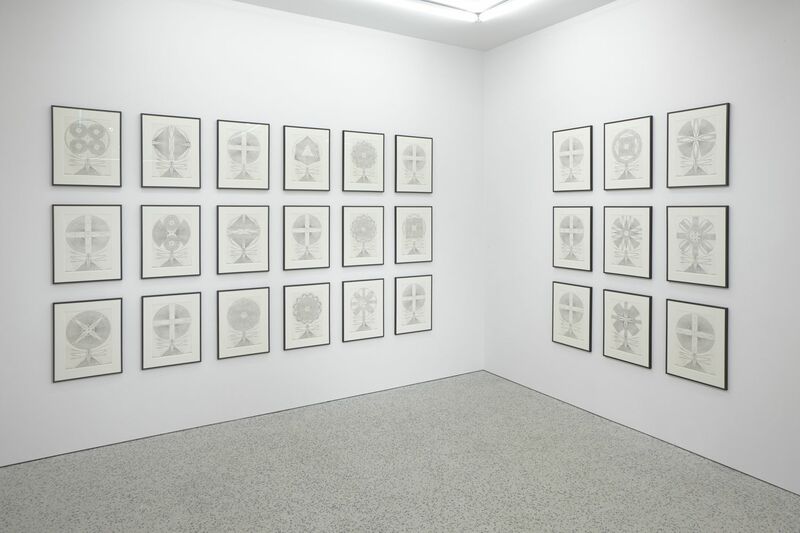 Visi-Roses form the bulk of the exhibition but there are also two series of drawings where Bjarni explores chess games by, respectively, Friðrik Ólafsson, the first Icelandic grand master, and the Norwegian Magnus Carlsen, who recently became World Champion for the third time running. The exhibition provides an excellent introduction to Bjarni’s ideas and his artistic expression. In addition to the works themselves, visitors can see an interview with the artist where he explains his philosophy and his artistic practice. Video recording & editing: Edda Björnsdóttir.